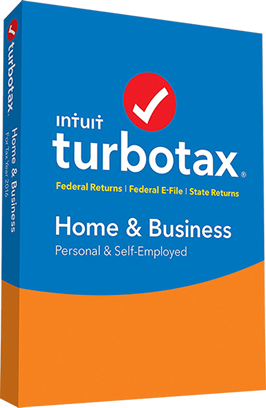 Get $35.00 OFF TurboTax Home & Business now on sale at Amazon! When it comes to the best deals on TurboTax software, this year Amazon blows away all other stores. Not only does Amazon have everyday special pricing on TurboTax Home and Business, but offers free shipping on top as well. Sale prices are expected to run through this week but may vary depending on the version selected and in limited to inventory in stock – See amazon com for full sea details. The Bundle Deal Get up to $20.00 off with the TurboTax/Quicken bundle. As one of our favorite deals during the tax season, you can get up to an instant $20.00 off when you buy select 2019 Turbotax/Quicken bundles at Amazon. We like the Amazon offer because you don’t need to send in any rebate forms as the discount is built into the price. This offer will expire on April 15, 2019. Try it Free Try out TurboTax Home and Business for free. If you haven’t used TurboTax before or if you want to test out the difference between all the four different versions for yourself, then you can start your actual return for free. Unlike a traditional free trial download, there is no software to install as you complete your entire tax form online at the TurboTax site at Intuit.com. You can save all your work as you go along and once you near the end of your return, you can decide to either complete filing with them (any pay for the software at this point) or just simply cancel and delete your free trial account. For those individuals who earn money from regular employment and also have a job on the side TurboTax recommends Home & Business edition. This is a complete product that will address all the situations related to income and expenditure in the previous year. Import your personal information from prior year tax return or even TaxAct or H&R Block CD/Download. Import W-2 or 1099 forms from over one million institutions. Import details of your investments from financial institutions and have TurboTax assist you in arriving at cost basis for your investments. Track all your donations – goods, cash, stocks, or mileage – with a free ItsDeductible app and when it’s time to file taxes, simply import information to TurboTax; the app also assist in determining the value of donated goods taking care of any guesswork. TurboTax Home & Business will then focus on your industry and explore all the credits and deductions you may qualify for. Currently, the software analyzes over 350 deductions and credits to see which one is the most appropriate for you. And because the program is up to date with the latest tax regulations, TurboTax guarantees the maximum refund possible or the smallest tax liability. Vehicle tax deduction – examine actual expenses vs. standard mileage for the biggest deduction. Explore other self-employed deductions such as phone, office supplies, utilities, home office, meals, education. Learn how to maximize the contributions to your IRA account. If you own a rental property, analyze different depreciation methods for the biggest tax deduction; and if you’re just getting started with your first rental property TurboTax will help you set it up. Education credits for you or your kids; whether it’s college or a class to improve your skills you can qualify for credits or deduct cost of tuition, books, or interest on student loans. Help for homeowners with guidance on mortgage interest, property taxes, refinancing fees, and home improvements. TurboTax Home & Business includes answers to common questions tax filers have related to a particular section you are currently working on. But if that isn’t enough, you can call and speak to tax experts via Live Expert Help. Keep track of your refund as you go and see how everything that you do affects it. This may be a starting point to plan for the following year. And with My Analysis & Advice it’s even easier now. This feature can access your prior returns, compare them and make recommendations to get a bigger tax refund in the future.